We are proud to announce that Robertson Ranch West Village Owners Association has selected Tinnelly Law Group as their associations’ legal counsel. 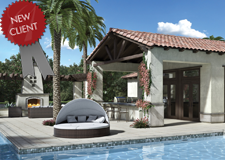 Toll Brothers at Robertson Ranch is a master planned community in the highly desired coastal village of Carlsbad and is made up of four different collections of single-family, luxury homes. Amenities include five unique pocket parks and a resort-style recreation center with a sparkling pool and spa, covered cabanas and an outdoor fireplace. Surrounded by permanently protected open space, Robertson Ranch is located in a coveted location less than 3 miles from the beach. Our HOA attorneys and staff look forward to working with Robertson Ranch’s Board and management.